Specializing in the classic car hobby for over 30 years! "I just love to buy, own, drive , flip and "rescue" classic Lotus cars!" 1966 (titled 1967) Lotus Elan Coupe “pre-airflow”. A true “barn find”, 81K miles, full engine and rear differential rebuild only 3,500 miles prior, but done back in the 1980's. Engine turns over freely (not frozen) but unable to start currently as starter not installed (but is included). Car was owned in California 1970’s and in Texas 1980’s. Last on road 1986, but has been in storage ever since. Early Type 36 coupe VIN# 36/5736 Has “matching numbers” original engine #LP5909LBA Lotus twin cam engine with twin Weber carbs, nice original wood steering wheel, 3-ear spinner K/O hubs, comes with a new windshield and windshield surround molding. Car is very complete, original and unmolested with all original equipment. Frame has front upright rust/crack, but another 2nd frame (with its own rust issues) is included. Both frames will need some degree of metal repair work. Car rolls freely, transmission shifts gears, all glass good, stainless steel trim good. 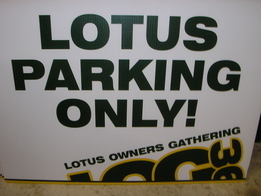 A Lotus Certificate of Provenance is included, as well as original Lotus Elan Shop Manual. I can transport to a New York/New Jersey shipping port for an additional fee for overseas buyers if needed.